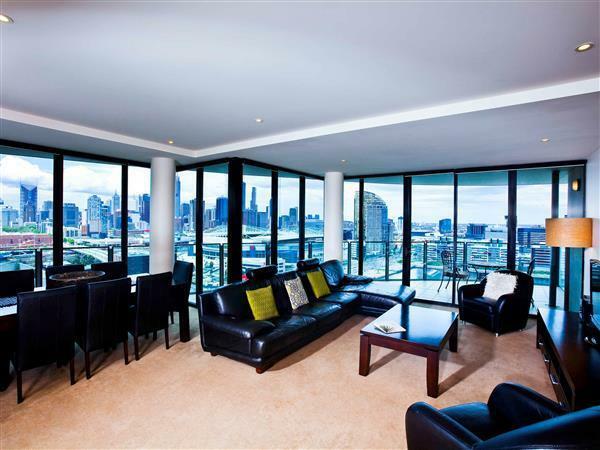 سواءً كنت مسافراً بغرض السياحة أو العمل، The Sebel Residence Melbourne Docklands هو خيار عظيم للإقامة خلال زيارتك للمدينة. يمكن من هنا للضيوف الاستمتاع بسهولة الوصول إلى كل ما تقدمه هذه المدينة النابضة بالحياة. يوجد العديد من المعالم السياحية الأكثر جذبًا للسياح في هذه المنطقة. 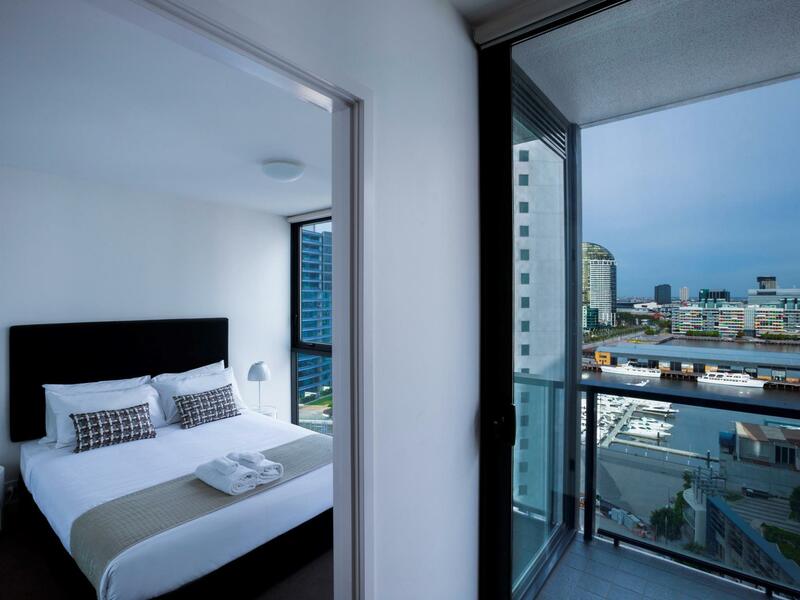 يعرف Accor Hotels بالمستوى الراقي لخدماته ولباقة موظفيه، وهذا ما ستجده في The Sebel Residence Melbourne Docklands. إن واي فاي مجاني في جميع الغرف, مكتب الاستقبال على مدار الساعة, مرافق مخصصة لذوي الاحتياجات الخاصة, تسجيل وصول/خروج سريع, تخزين الأمتعة هي جزء فقط من الخدمات التي تميز The Sebel Residence Melbourne Docklands عن باقي الفنادق في المدينة. استمتع بوسائل الراحة الراقية في الغرف أثناء إقامتك هنا. بعض الغرف تتضمن تلفزيون بشاشة مسطحة, بياضات, مناشف, اتصال لاسلكي بالإنترنت, غرف لغير المدخنين لمساعدتك على استعادة طاقتك بعد يوم طويل. يمكنك الاستمتاع بالأجواء المريحة التي تقدمها مركز للياقة البدنية, حمام سباحة خارجي, ملعب تنس طوال النهار. 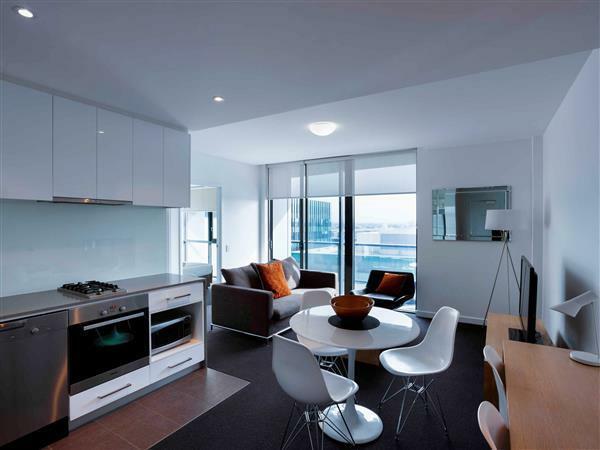 استمتع بخدمات لا يعلى عليها وعنوان ذو اعتبار في The Sebel Residence Melbourne Docklands . يجري تسجيل الوصول في 2-4 مارميون واي، نيوكواي، دوكلاندز، فكتوريا، 3008. The room furnishings were worn and torn, and the beds uncomfortable, bathrooms needed a good clean. We were offered another room which was great, but unable to move as it was in another building and we were a wedding party that needed to be close by. Room keys access only your floor so getting to other rooms meant meeting in the foyer. The Sebel is 7 or 8 buildings so you can end apart far apart if in a group. A parting gift of having our tyres let down in the carpark was annoying to say the least. Hotel staff were great and did their best to accommodate us. Asked for a large bed but only got 2 x king singles put together with two individual mattresses Would have expected a proper full size king mattress given it is only a one bed room apartment. Disappointed with this 3 bedroom apartment. Whilst the location and view from the apartment was great, the apartment itself was in need of maintenance. Painting was overdue, skirting chipped and filthy. Lounges stained, coffee table cracked, there was no kettle. To say we paid $730.00 per night, I would expect far better. I also note an additional charge on my credit card the following day, called the hotel and advised it was in their error. Still waiting for the transaction to be reversed. Will not be returning. This is an excellent location, good value for money, minutes from the freeway, and with lots of restaurants around. Ask for a high floor and a harbour view. Parking is available for $25 a day. the staff were a bit overwhelmed at certain times of the day, they manage over 200 apartments. I love this hotel so much, all the staffs are friendly and helpful. We were really impress by this hotel. All I can say is you won't regrets to stay here. One of the best places we have stayed. 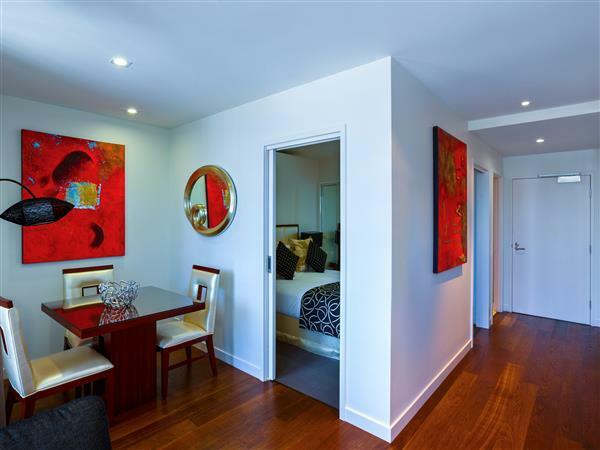 The apartments with a harborview are wonderful, have a great view and are a great place to stay. There is a tram stop in the free zone right near the hotel, plenty of restaurants and pretty easy to use with a rental car. It was great for an overnight stay while on business. Grand Mercure Docklands Apartments building has not check in desk. So it's too inconvenient to access from Apartments to the front desk. Stayed here during a busy workweek, but had the pleasure to be able to take a walk along the river in the evening which was quite nice. Melbourne CBD is about 10 to 15 minute walking distance away. Nice place. 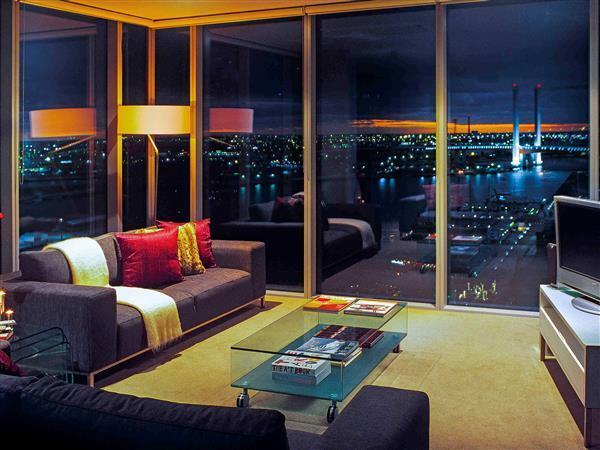 The location,the view of the lights at night and the presentation of the room. I love sunrises and sunsets, this was probably the highlight of the room. The majestic sun reflected on the ocean. Room was great, included all the things we needed. The room was a smaller than the pictures, but there were 2 bedrooms so space was ample. 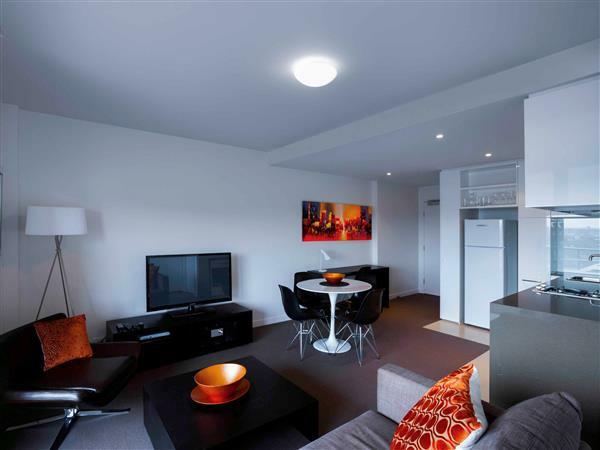 It's clean and tidy and more like an apartment than a hotel. I like it.